Lee Parkinson is a qualified homeopath practising from Congleton, Chester and Tarporley, also taking patients from the surrounding areas including Alderley Edge, Biddulph, Congleton, Holmes Chapel, Knutsford, Macclesfield, Sandbach, Tarvin and Wilmslow. 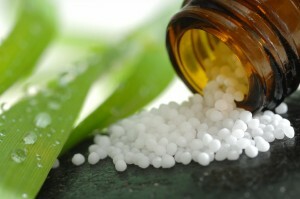 Homeopathy is used by over 30,000,000 people in Europe and is the world’s second most popular system of healing. The World Health Organisation, in 2005, estimated that worldwide, it has half a billion users. It was first used in the UK by Dr Quin in 1828 and it has been sanctioned by the UK government. It has also been a part of the NHS since 1948. The House of Lords published a report in 2000 which looked at 30 different complementary therapies and classified it as one of the 5 ‘group one’ therapies judged to have sufficient research evidence of effectiveness and stated that it should be more widely available in the NHS. This entry was posted on Friday, May 27th, 2011 at 3:40 pm	and is filed under Information. You can follow any responses to this entry through the RSS 2.0 feed. You can leave a response, or trackback from your own site.